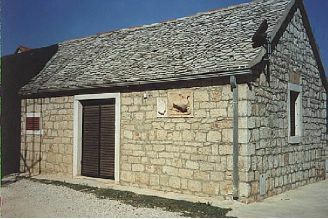 A detached house in the unfinished state on the island Hvar. The house has a connection to the water and access to asphalt road. 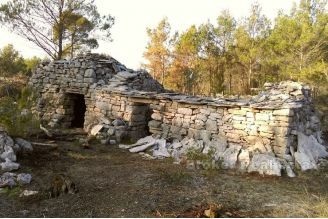 The south facade is covered with stone, and the house is partially closed (2 new windows). 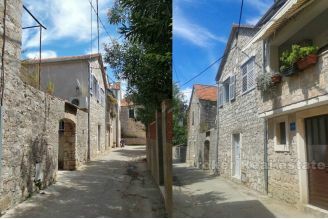 The house has a living area of 100m2 with possibility of upgrading with 300m2 lot area. It consists of two large bedrooms, living room, dining room, bathroom and terrace of 20m2. Since the house has a large bedrooms it is possible to add a toilet in each room. 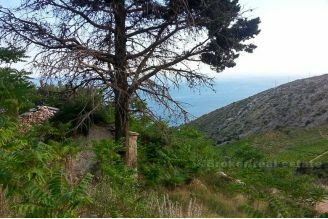 It is only 100m from the sea and beautiful pebbly beach, and 500m from the town center and the ferry port. 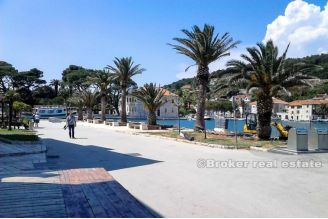 Replacement for a two bedroom apartment in Split.